This is my first review post and I am posting this because I’m using this. I am using DHC from last month. I had bad pimples before last month, and it was continued one by one. Then I started using these DHC products, and I really can say I’m fully satisfied with using this. 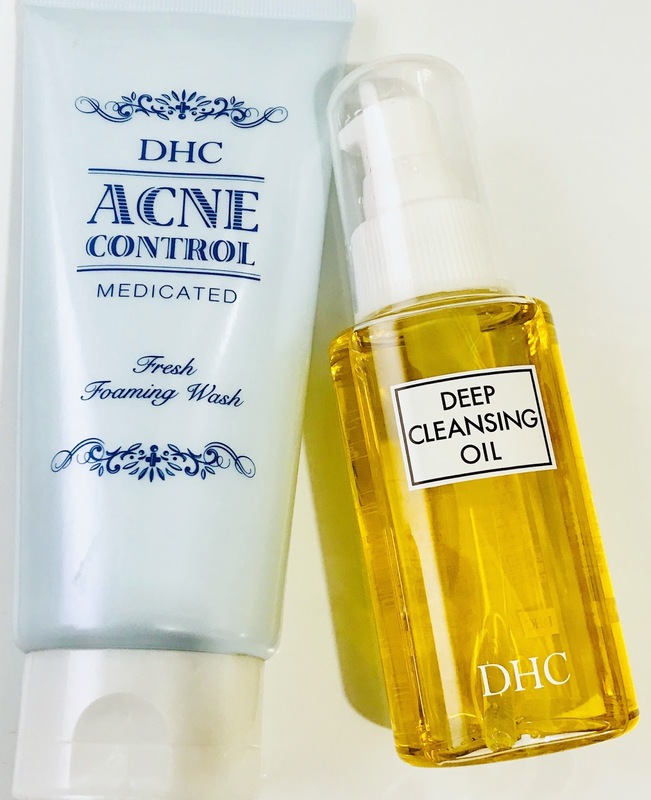 DHC Deep Cleansing Oil A must-have product for every makeup lover. This is a kind of oil, which gives a foam after getting in touch with water. This is the first cleansing oil I’m loving like this. I’m now addicted to this product. I generally don’t wear make-up apart from parties, but I use eyeliner and mascara and sometimes a CC cream. This cleansing oil, cleans all the makeup from my face in just one wash also it doesn’t feel oily, it feels like a cleanser. Sometimes we have pimples because our cleanser leaves the makeup traces behind the wash (I too had pimples for the same reasons). This product cleans your skin from deep and rinses the dirt completely. 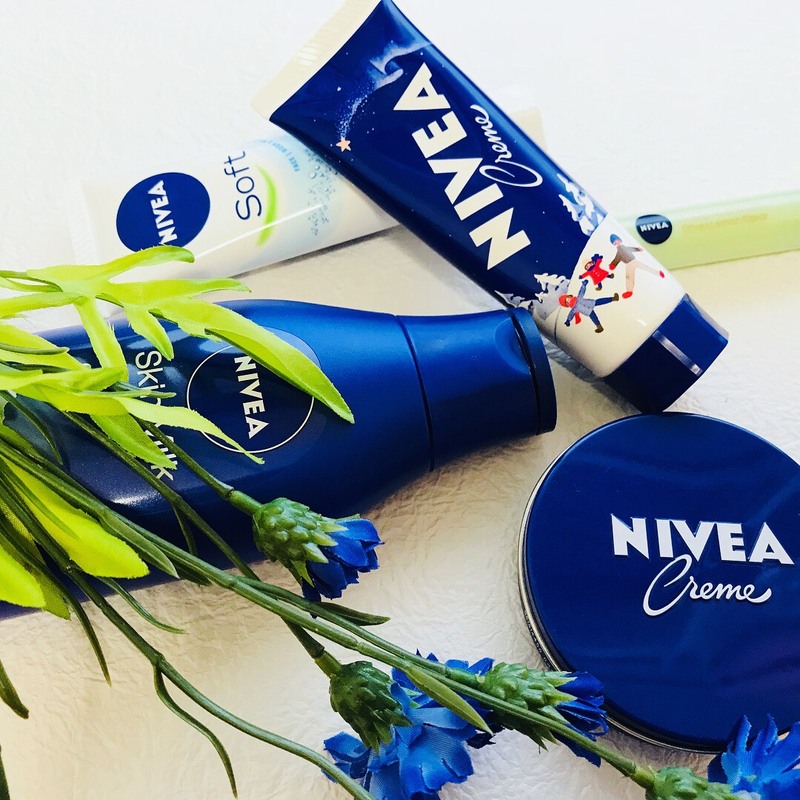 When it's about winter, the first brand comes in everyone's mind, that is Nivea. Winter favorite, not only mine, even everyone's favorite since years. I have grown up with using Nivea in every winter. Its scent reminds me of my childhood and my school timing. Winter comes with cold air, which dries our skin. Nivea skin milk prevents our skin from dryness, itchy and scratchy, and makes it very smooth and soft in harsh winter. It is also very light and doesn't give any sticky or oily effect. I like Nivea creams, and I use it every morning and night after wash my face. Nivea soft I specially bought for my hands, I can use it for my face too but I need this one for my hands first, I always apply a hand cream after washing my hands, So this time Nivea soft, it is quite thinner than other Nivea creams and softens my hands. All of us want to have a healthy, glowing and younger looking skin, so we spend a fortune on the store of buying many skin care products, but have you ever thought, we can have a glowing younger looking skin with using the kitchen stuff? ?……yes kitchen. Why run after so many harmful chemicals when we can find the best solution in our Kitchen. Here are some tips which you can use from your kitchen to make your skin moisturized, clean, acne-free, beautiful, fresh, and young. 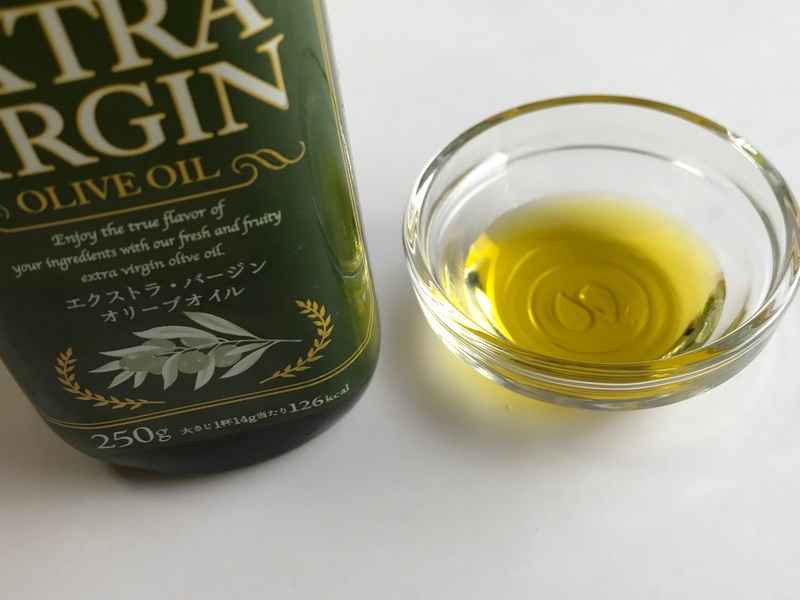 Deep Cleansing Oil Take a half tsp of each, olive oil, almond oil, and pure coconut oil, mix them well and apply on your face, then gently massage for 3 minutes. Now remove this oil with the help of tissue paper, and apply the below-given face pack. Lakme 9To5 CC Cream:- This cream instantly protects, moisturizes, brightens, evens skin tone, Conceals and Freshens. 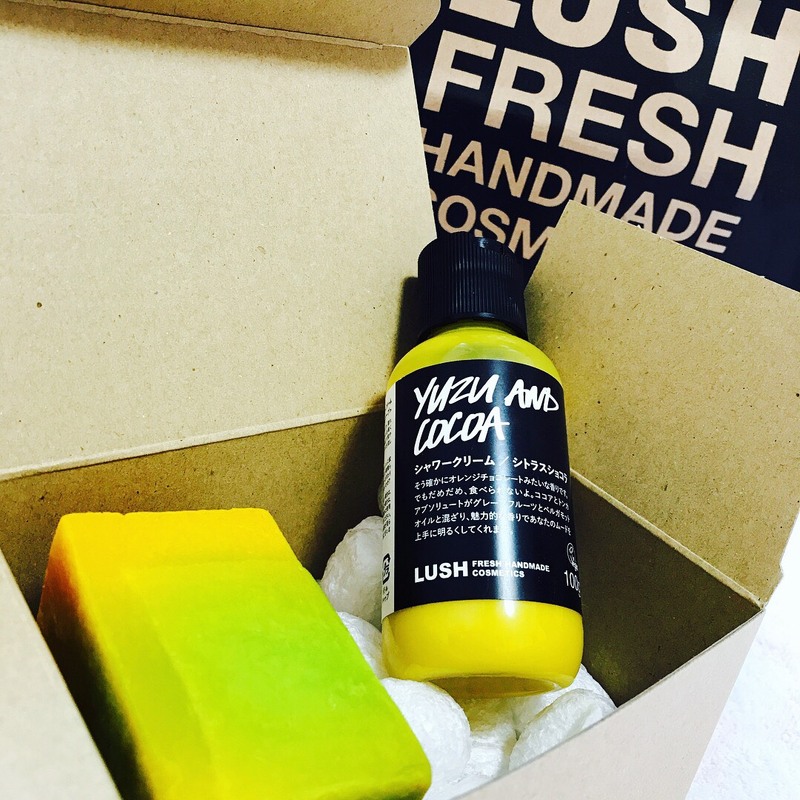 It has a fruity smell and a smooth velvety texture, it gives a dewy look with a natural matte finish. Lakme Insta Eye Liner:- The color of the liner is dark black, perfect for everyday use, the texture of the liner is very smooth and it gives a matte finish after it gets dry. If you are looking out for a great matte effect, then this would be a perfect choice. This is my latest Design, Half Net-Georgette Saree with Sequins Border. 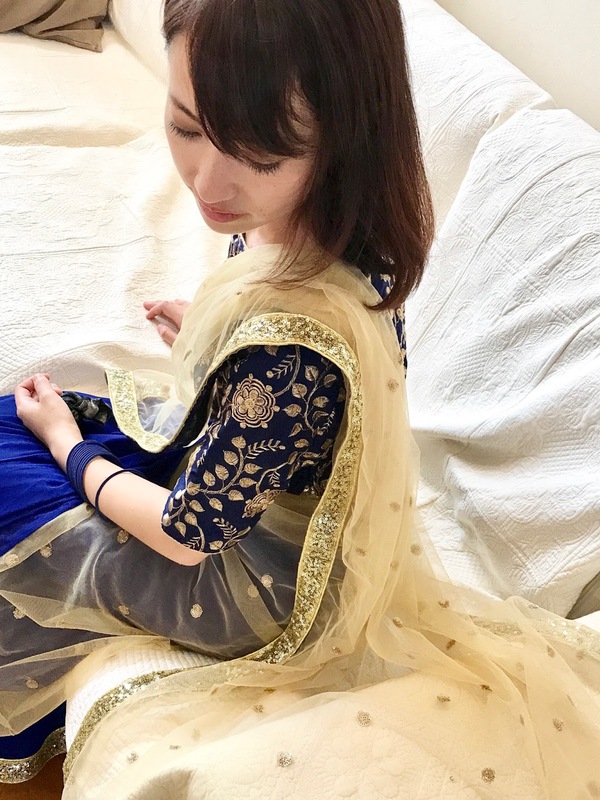 I love the color combination of Blue and Golden, so chose this combination for my new Saree Design. The golden netted portion along with the circular golden sequins work and border enhances the beauty of this saree. The other part of this saree has a blue plain georgette along with the border with a shimmering effect on it. The main attraction is the simplicity of this net saree. This looks simple but provides a chic look. Do you know why the pink color dedicated to women as their favorite color? because pink is the color of power and nothing in the world is more powerful than a woman. Pink is the color which never gets out of fashion, its always in trend. 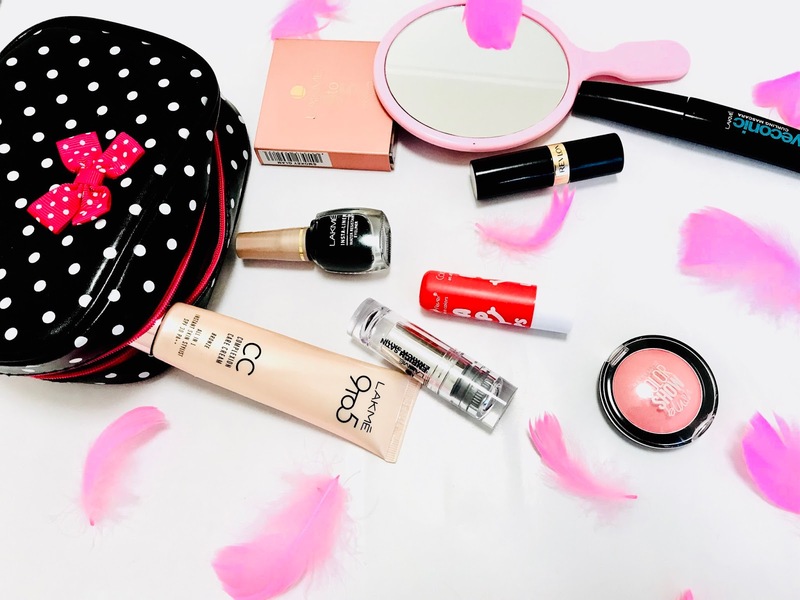 Every woman/girl loves to wear pink clothes and accessories, even I love the pink color, I have a pink collection, and I like to buy pink things more and more. Here is my pink saree, which is also similar to my blue half net saree here For this saree, I've taken 2.5 meters plain pink georgette fabric for the lower part and a beautiful combination of pink and golden thread embroidered net fabric for the anchal part. 2017 was such an amazing year for me and I have the same expectations from 2018. The year started with some goodies, lots of shopping, travel and lucky bags. I started my new year with buying my first lucky bag from INGNI. 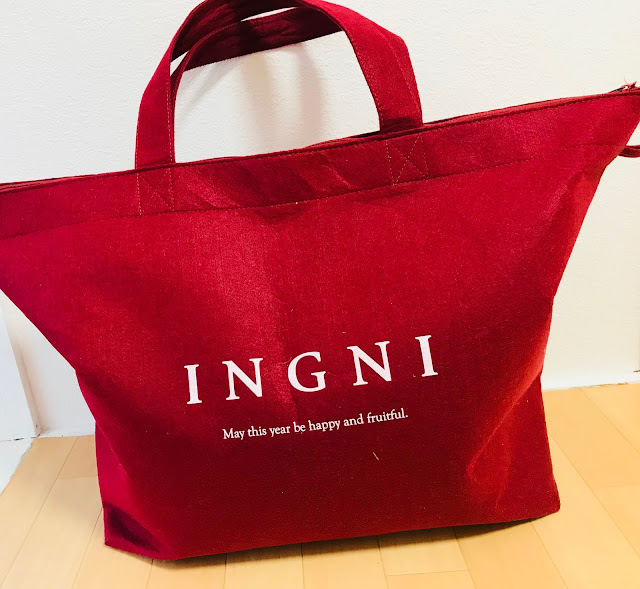 INGNI is a famous Japanese clothing brand and its lucky bags are amazing. I spent just 10800 yen (108$) and I got the stuff inside at around 47000yen (407$). I mean seriously... WOW. 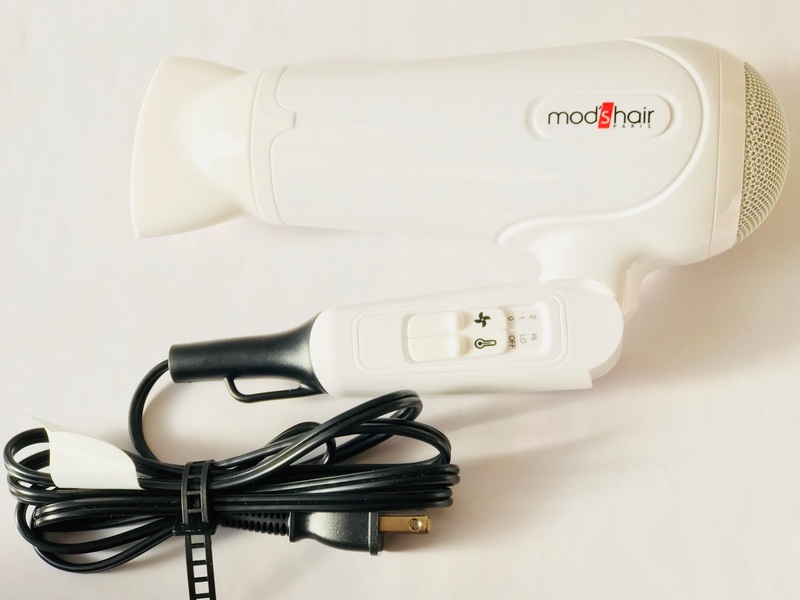 Many of you would have heard about this brand and some of you won’t, MOD’S is a hairstyle tool brand from Paris. I recently bought a hair dryer from the same brand so today I’m going to talk about this hair dryer. Earlier I was using a hairdryer from Philips, I bought that dryer just a year ago, but I really got disappointed with that, because when it was new, it was good, but it started blowing the air very slowly within six months, so I need to buy a new one and I got this. It looks very simple like normal hair dryers and comes in two colors, Black & White, I chose the white one. The size is not very small one, but it’s good for travel because it is foldable. You can fold the handle, which can collapse your storage while you travel. When you talk about the weight, it is very light weighted. It takes 15 to 20 minutes to set my hair and give a proper volume to my hairs once it gets dry. Ahh, Pink again, I love buying pink stuff, more and more pink stuff, this time “A nail kit”. A nail file is a very important thing in our life, every woman must have a nail file in her makeup bag. This is a fact that a well-groomed woman can’t groom herself properly without a nail file, so I always look for a good nail file ;). This time I bought this cute pink nail kit. There are two nail files and one nail Clipper. Sand Finish Round/ Two Way Nail File This round, double-sided nail file is good for badly shaped nails to give a sharp and smooth finish. It works from both side and gives the same result from both sides. The file is light, small and portable so easy to hold and carry. Matte Stainless steel File This nail file comes with a knife shape Stainless steel, it is covered with pink matte finish knife shaped plastic cover, which protects it from dirt and makes it easy to carry in the bag. It is very smooth and gives a shine to my nails after filing.